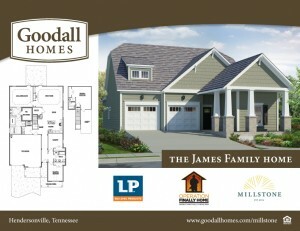 Local Homebuilder, Goodall Homes, to partner with Operation FINALLY HOME and LP Building Products to construct the custom-built, mortgage-free home NASHVILLE, Tenn. (Aug. 28, 2014) – Non-profit organization Operation FINALLY HOME joined Nashville area homebuilder Goodall Homes and engineered wood products manufacturer LP Building Products on the LP Field 30-yard line Thursday evening to deliver a surprise announcement to the game’s Salute to Service honoree, U.S. Army Sergeant First Class Joseph James. James, a wounded combat veteran from Ft. Campbell and his family will receive a new custom-built, mortgage-free home in Goodall Homes’ new master-planned community, Millstone, in Hendersonville, Tenn. During his service James was deployed three times in support of Operation Iraqi Freedom and once in support of Operation Enduring Freedom. His extensive list of awards includes a Bronze Star, Meritorious Service Medal and four Army Commendation Medals. Five months into a 15-month tour, his Humvee was struck simultaneously by two improvised explosive devices (IEDs). James suffered physical injuries including a right below-knee amputation, left above-knee amputation, as well as numerous shrapnel wounds to the back as a result of the explosion. It is estimated that he underwent approximately 18 surgeries throughout his recovery. In therapy, James advanced rapidly through his training, learning how to walk and even run using prosthetics. He received his promotion to Sgt. 1st Class in March 2009 and continued his physical training in the military, participating in numerous 5K races as well as training for sporting events for disabled athletes. Today he resides in Bethpage, Tenn. with his wife and two daughters. He and his wife are also expecting another child in October. “It is an honor to provide a home for this brave young man and his family,” said Bob Goodall, president, Goodall Homes. “It means so much to be able to give something back to this local hero in appreciation for his service and sacrifice to our country.” This will be the second home built by Goodall Homes in conjunction with Operation Finally Home. Operation FINALLY HOME is a non-profit organization with the mission to provide custom-built, mortgage-free homes to America’s heroes and the widows of the fallen who have sacrificed so much to defend our freedoms and values. Goodall Homes will drive construction for the project with the help of many valuable trade partners, including LP Building products. “We are proud to partner with Operation FINALLY HOME and Goodall Homes to provide building materials for this home,” said Rick Olszewski, LP executive vice president. “We hope our part in this project in some way expresses the immense gratitude and respect we have for James’ service to our country and the sacrifice of his family.” “It is partners like Goodall Homes and LP Building Products that make our mission possible,” said Rusty Carroll, Operation FINALLY HOME executive director. “Together we are not only building homes, we are helping to rebuild the lives of our country’s veterans.” For more information on this and other Operation FINALLY HOME projects, and to find out how to support these projects, visit operationfinallyhome.org. About Operation FINALLY HOME Operation FINALLY HOME was established in 2005 as a nonpartisan/nonprofit 501(c)(3) organization. The mission of Operation FINALLY HOME is to provide custom-built, mortgage-free homes to America’s military heroes and the widows of the fallen who have sacrificed so much to defend our freedom and values. Operation FINALLY HOME partners with corporate sponsors, builder associations, builders, developers, individual contributors, and volunteers to help America’s military heroes and their families transition to the home front by addressing one of their most pressing needs—a home to call their own. To find out more, visit OperationFinallyHome.org. About Goodall Homes Bob Goodall, Jr. began building homes in 1983. 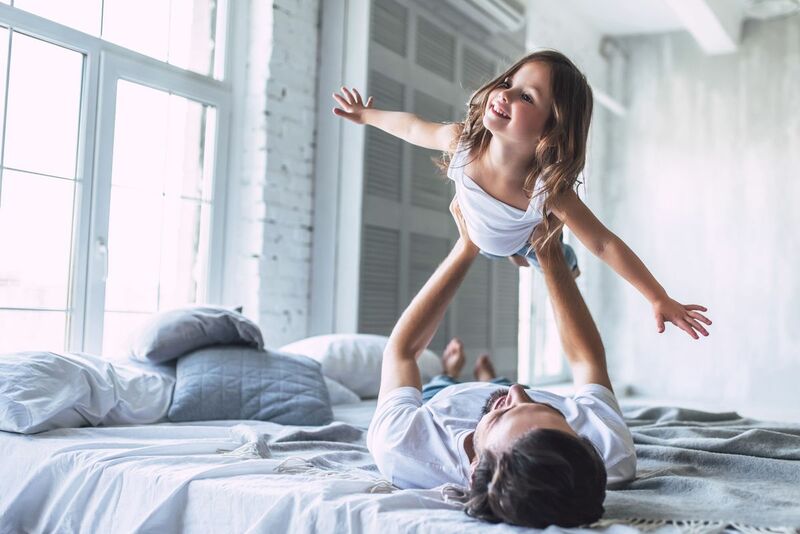 Locally owned and operated, Goodall Homes builds single family homes, townhomes, condos and villas throughout Middle Tennessee. The Goodall Homes team mirrors Bob’s commitment to service and excellence in homebuilding. This commitment has been recognized through awards such as the NAHB National Housing Quality Bronze Award, The Nashville Business Journal’s Fastest Growing Private Companies 2014, 2013, 2012; The Tennessean’s Top Workplaces 2013 & 2014; and The Nashville Business Journal’s Best in Business Award in 2011. For more information about Goodall Homes, please visit GoodallHomes.com. About LP Building Products Louisiana-Pacific Corporation is a leading manufacturer of quality engineered wood building materials including OSB, structural framing products, and exterior siding for use in residential, industrial and light commercial construction. From manufacturing facilities in the United States, Canada, Chile and Brazil, LP products are sold to builders and homeowners through building materials distributors and dealers and retail home centers. Founded in 1973, LP is headquartered in Nashville, Tennessee, and traded on the New York Stock Exchange under LPX. For more information, visit LPCorp.com.